Passers-by have described hearing the “grinding of granite” as a red-faced driver wedged his bus under an Aberdeen bridge. 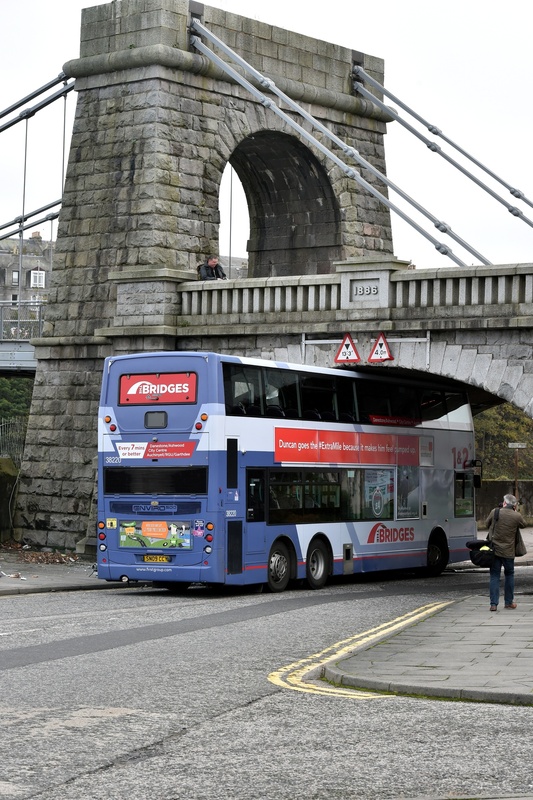 Police were called to Riverside Drive at 3.10pm yesterday after a FirstBus double decker – emblazoned with “The Bridges” route branding – became stuck under the Wellington Suspension Bridge. Part of the bus roof and its upper windows crumpled away as it scraped the underside of the historic bridge. There were no passengers on board the vehicle at the time – meaning it was left with unfortunate “Sorry: Not in service” signage as mechanics worked to free it by letting the air from its tyres. 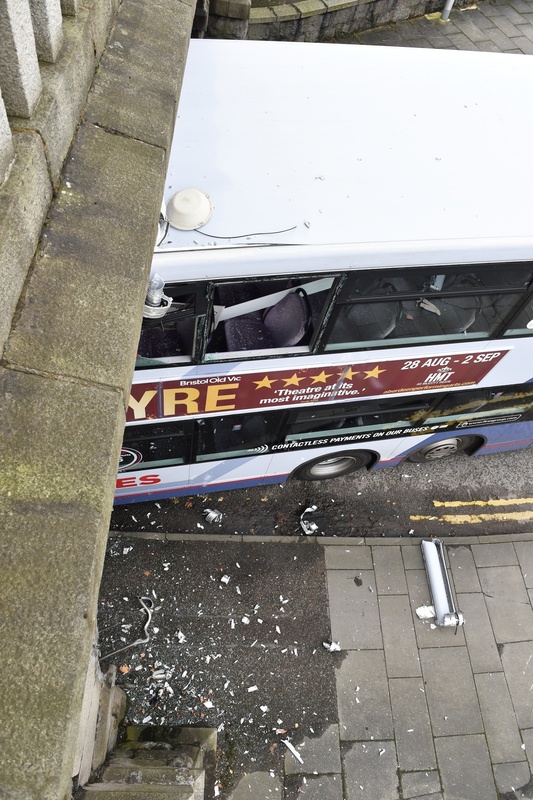 A FirstBus spokesman said: “We can confirm that there were no passengers on board this vehicle when it collided with the bridge on Riverside Drive.